A review of Senior Health Insurance Company of Pennsylvania finds an insurance company that has recently undergone ownership changes due to recent problems. 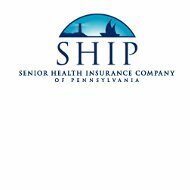 Senior Health Insurance Company of Pennsylvania, which is also known as SHIP, was part of Conseco Senior Health Insurance Company before November 2008. Find health insurance rates from providers in your area by typing your zip code into the box above. After mid-November of 2008, SHIP’s owner became the Senior Health Care Oversight Trust, which was formed by Pennsylvania’s Department of Insurance. SHIP is run by a Board of Trustees whose members all have extensive insurance experience. The Board exists to ensure that SHIP continues to meet its obligations to its policyholders. You can also call them toll-free at 1-877-450-5824. The Senior Health Insurance Company of Pennsylvania is no longer selling health insurance policies. Instead, the company only exists to maintain and keep the long-term care insurance policies of its current customers running. When ownership of SHIP was moved to the Trust, it was with the sole purpose of keeping the company in business for all of its current policyholders who have paid premiums on their long-term care insurance for years. It is not the Board of Trustee’s intention or obligation for SHIP to make a profit. Although SHIP operates without earnings, it still offers policyholders ways to manage their premiums and options to lower their costs. Currently, premium bills from customers only account for 56% of the payments it makes for customer claims. The other 44% is paid from assets and investment income. If you’re a current SHIP policyholder, or family member of a SHIP policyholder looking to help them, you have a few options to lower your premium payments. You can decrease your maximum benefit period, or your maximum benefit amount on a daily or monthly basis. You can also extend the elimination period, which is the waiting period before your benefits begin. Lastly, you can drop some optional coverage off your rider. Unfortunately, all of these recommendations mean that, in order to pay a decreased premium, you must first decrease your benefits. Unfortunately, because the company isn’t taking on any new business, it has a limited pool of income. As the years continue and its policyholders’ claims grow, the company will have less and less flexibility when it comes to discounts and benefits. For information on submitting claims, whether it’s your first time or not, click on the “Submitting Claims” tab of the company website. There, you will find information about who needs to fill out which claim information sheet, and provide corroborating proof, etc. If you or your loved one has had a claim denied by SHIP and want to contest it, you can submit additional facts and paperwork, and ask for a management review of the claim. This should be sent to “Long Term Care Claims,” to the attention of the Claims Manager, at the address already given above. In mid-2009, the Senior Health Insurance Company of Pennsylvania asked A.M. Best Company to withdraw its ratings for the company. A.M. Best had given SHIP a “C” financial strength rating and a “ccc+” issuer credit rating, both of which are weak marks. It had also given the insurance provider a negative rating for its outlook for both ratings. Ratings from A.M. Best are a good gauge about an insurance company’s financial outlook and strength, both in the present and going into the years ahead. SHIP, operating formerly as Conseco, had obviously encountered extensive financial difficulties. In May of 2008, Conseco agreed to a settlement with the state insurance regulators from 40 U.S. jurisdictions. The company had to pay a fine of $2.3 million, as well as $30 million as restitution for claims mishandling. Going forward, Senior Health Insurance Company of Pennsylvania will likely have to raise its rates and reduce its benefits. A simple Internet search already yields complaints from the children of current policyholders, who cite poor customer service and mishandling of their parents’ claims. If you’re looking for health insurance coverage, SHIP is obviously not the company for you. Instead, type your ZIP into the free box below and you’ll be able to check out health insurance quotes from other providers in your area. My mother has been unfairly denied her claim after paying for her policy for over 20 years. She is 95 years old and cannot even take care of her basic needs. How can she be denied her claim?? If she is not qualified, who will ever be qualified to receive their benefits? No one!! I have asked for a copy of the policy at least 8 different times and never received one. I was told that it was in the mail. If they lied to me on that simple request, how honest is the company as a whole? I am going to fight the for my mother’s right to receive her benefits that were so wrongfully denied. I hope other’s will fight for their parent’s rights too. This is so wrong!!!!!!!! My husband and I have been trying to get a copy of our long-term care policy which we had lost through a move. We have been with this company for many years, have thirty thousand dollars invested, and have sent $10,000 in payment for this year by certified mail, even though they have not kept their promises to us. We made our first call to this company at St .Paul on February 8. We have since called 5 times – on the 15th, 21st. etc. They have promised every time that they will send. On the 15th of February, we were told we would receive the policy within 10 days. On our last call, they said the policy had been sent on March 4. As of this date, March 16, we have received nothing. We were told to leave a message with the supervisor, and he would call, but we have never received a call. Would have given this bad company a zero rating if possible! Unbelievable paperwork and bureaucracy, they denied a legitimate claim of only $900.00 after having collected over $25.000 in premiums. My husband died shortly thereafter, so no more additional claims forthcoming. They operate with incompetent, home based “agents” from all over the U.S. During a conference call with superiors, decisions as to validity of claims are then made based solely on the agent’s feedback. This company should not be allowed to operate at all! Senior Health Insurance of Pennsylvania (“SHIP”) persuaded my very elderly father to reduce his benefits in exchange for a reduced premium. He gave up roughly $70,000 in benefits and $10,000 in past premiums for a premium reduction of $900 per year. He’d have to live to the age 180 for the savings to equal the loss. I feel this was deceptive and predatory on the part of SHIP, and will be looking for legal recourse. My company provides care to seniors and this company is without question the WORST provider we have ever dealt with. AVOID THEM LIKE THE PLAGUE!!!! They will go to any length necessary to avoid paying the claim they owe. They’re completely dishonest and have no business taking money from seniors under the pretense of being a long-term care insurance provider. They’re basically thieves. Period. I am in the process of collecting a claim for long term care for my mother. I was originally told the process takes 30 days to start the process. It is going on 3 months without answers. I am told that it is in a final review but now more documents are needed. Also, I was told the auditor called me but I never received a miscall or a voice mail on my I phone. I guess the next step is legal action. Any suggestions where to start. I agree with all of the above statements and would have given them a ZERO RATING as well. My family has been trying to collect on a claim for the last 3 months. Every time we call for an update on the claim we are told to send more documentation. Now SHIP is wanting a copy of my father’s will!! I believe this company needs to be reported to the Insurance Commissioner and the Better Business Bureau. Legal action is correct, how about a class action lawsuit?!? This company is one big racket run away fast. My mother paid into it for over 20 years and can’tGet any benefits from them yet. For several months they led her to believe a check was in the mail they had all they needed. Now wants her to jump thru hoops to prove again she needs it. She is 88 years old has dementia and other issues so guess who has to do the jumping… That’s right the kids, she is unable to do it or even remember to take meds and is already in assist. Living paying out of her pocket every month. They have made it very obvious they are stalling and giving her the run around waiting for her to die. Do not purchase your long term insurance here. We are now looking for a lawyer and contacting the insurance commissioner and any agency that will listen. I share your struggles. My Mom died in Sept. 2014. Mom had faithfully paid her premiums for years. S.H.I.P. made us jump through several hoops like we were trained zoo animals. And, just when we thought we had all the “correct” documentation for her $28,000 out-of-pocket home health care, they found other issues. ONE day out of the clear blue we received a check for $175.00. We are reporting this company to the Insurance Commissioner and the Better Business Bureau. I’m planning my assault on this company. They shouldn’t be allowed to rob from the elderly. And, they are guilty of FRAUD. If you have Facebook warn people about this company. Contact you local media. Tell everyone you know. SHIP ripped off my Mom and I will not stand for their abuse and thievery. I believe it will take a class action suit against this company for our parents to see any fair treatment. SHIP/Conseco took her money and when she needed what they promised … they wouldn’t return phone calls, allow me to speak to a supervisor, refused to tell me where the home office is located. Helen from the St. Paul office said they didn’t “receive” my claim, has not sent a policy from a request from September 2014, and then paid only five days ($175.00) from a year and one month of home health care (from a licensed agency). Warn as many people as you can about this company, and do not feel alone … you are not the only one getting shafted by SHIP. I read others’ reviews and weep. We have filed a claim and are trying to get a SHIP nurse to our father’s house to evaluate him. The runaround has gone on for weeks. First, they said messages had been left on our father’s phone, which is impossible b/c his voice mail doesn’t work. I gave them my number and now they claim to have left messages on my phone. No messages and no missed calls on my phone. Today I told them I knew I was being lied to and said I would be contacting an attorney, which I have now done. If anyone has succeeded in getting this company to pay, please please please post your story here. What government oversight do these guys have? 3 times over 2 months a copy of the policy they say we have has been requested and ignored. 2 months later reordered. Does someone know? This company is run by a group of shady characters and the FEDS should be investigating them. Maybe the FEDS don’t read blogs and certainly SHIPPS claims they have no oversight since they do not write policies. My father’s care began on March 31. They didn’t get a nurse to the house to evaluate him until June 9. When they couldn’t deny the claim on medical grounds, they decided the caregivers weren’t qualified (which they could have decided when they first received the claim in April, instead of waiting till we had spent $20,000). Now we are waiting to hear their evaluation of the credentials of two new caregivers. I was told to call back on the 15th. I called today and no action had been taken on the credentials. They also claim to have mailed a $1,000 check two weeks ago for “homemaker” services, but it has not arrived. If you expect to get a dime from these charlatans, choose a family member who is stubborn and persistent, can keep their temper, does not have high blood pressure, and has lots of time. I have made as many as eleven calls in one day in relation to this claim, and so far all for naught. My father’s care started in April of 2015, as well as my step-mothers. We have been constantly told to send in more documentation. Instead of laying out exactly what you need in the first place. They have one assessment done already and are scheduled to have another one soon. I am planning on turning them into insurance commission as well as the better business bureau. Their scam is to delay payment in hopes that one or the other dies. The money they paid in would be lost. We received a payment out of the blue of $272, no explanation of days it was for. My Dad has about $17000, and my stepmom has $ 15,000 due to them at $50 a day. I am thoroughly upset about this company and would join a class action suit. When my father was 92, SHIP offered him a premium reduction of $200/month. He took it and gave up approx. $150,000 in benefits. It was predatory and misleading. The denial of benefits is horrible. SHIP has been sued successfully in California and Texas. Lawyer-up for class-action, and Good Luck to all of us. This company has denied claims for my friend who is 85 years old and can’t do for herself. As others have stated this company continues to request more and more information, and lying when they say they are mailing documents. The last time she talked to them the lady on the phone was so abusive, she told my friend lie after lie about her repeated filed claims. My friend has letters from her doctors, letters from her very qualified degreed caregivers, family, and friends who do everything that is required for her to live. This company S.H.I.P. and its officers should be prosecuted to the fullest letter allowed by law. I read in the post above that the company refuses to give the address of their home office, geez I wonder why. This is a horrible company and I strongly recommend no one uses it. The reps are all nice and polite but nothing gets done and they always give you stories about how they need something else. Everyone you talk to tells you something will be done and when you call back you get a different story. Horrible!!!! I am currently representing a woman in Hudson Ohio who has been denied benefits under an “Alternate Care Plan” policy from SHIP. She is disabled and eligible since 2013 and continues to pay the premiums to SHIP. Total benefits paid out by SHIP as of July 28, 2017=. zero ($000).